FANTAZIA CARNIVAL Band Launch April 22nd 2017 Boss Club www.fantaziacarnival.com more details below.. THIS TORONTO CARNIVAL FANTAZIA TAKES YOU BEYOND... SATURDAY APRIL 22 BEYOND BAND LUNCH HOME OF TORONTO CARNIVAL'S BIGGEST UP & COMING MAS BAND DON’T MISS THIS COSTUME SHOWCASE MUSIC BY 4 OF THE BEST: DJ BASS, DJ FLIP, DINGOLAY AND DJ SMARTIEZ HOSTED BY MC WINEDOWN TICKETS ONLY $15 IN ADVANCE MORE AT THE DOOR! 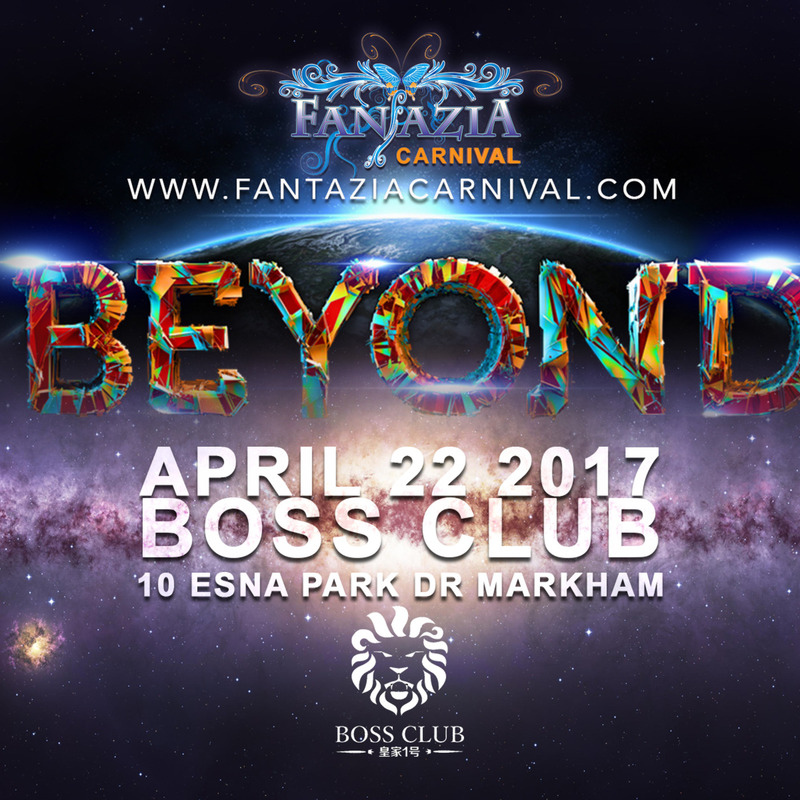 BEYOND ... FANTAZIA BAND LAUNCH AT BOSS CLUB 10 ESNA PARK DR MARKHAM... Fantazia International is led by Will Morton, "Designer Extraordinaire" hailing from the Caribbean Island of Nevis. Will, who always had a passion for designing and creating art, started out on his journey volunteering his time at Louis Saldenah Mas-K Club before bringing out his first section in 1987. It did not take long for his work to be recognized, earning him the title of "Best Section Leader" for several years.